When you build a Windows Phone App, you for sure take some time to translate it in several language. By default there is no easy way to translate the app name but you can do it. Here is a quick “how-to” ! I am a great fan of my Windows Phone and yesterday I found one missing feature. 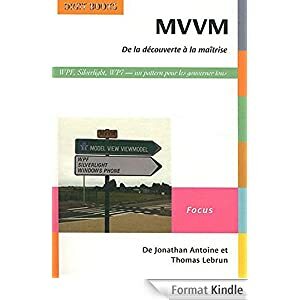 Since I do not have visual voice-mail (because I am using the french operator “Free Mobile“), I wanted to try one of Free great service: send me each voicemail message by mail. Each time I have a new message, I receive an email with the wav audio file linked: fantastic ! Well in fact, it’s not because my Windows Phone 8 seems not to be able to read this file. Yes… no need to tell me this format created by Microsoft and IBM exists since 1991. What I wanted to share with you is a free solution, while Microsoft is fixing the issue. 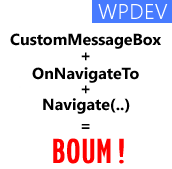 [WPDev] CustomMessageBox + OnNavigatedTo + Navigate = Exception ! The Windows Phone Toolkit is really useful. Yesterday, while I was updating my ConsoTracker app, I met a strange bug using the CustomMessageBox : it was raising a nullReference exception. Let’s see what was the issue and how to “fix” it. 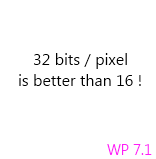 [WP7] Quick tip : how to set 32 bits per pixel for your app. Something new which came with Mango is the ability for the developers to set the number of bits per pixel our app use. By doing this, your app will have shiny graphics! This increase the color depth and then the gradient are rendered really more smoothly. As expert would say, there is no more banding in your image ! 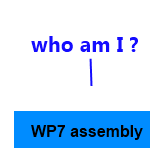 WP7 : how to get the version number of my application ? It’s always a good thing to provide information to the users of your application. One thing which may seem trivial is the version number. In fact it’s a really important information because with it the customers can send you a feedback with enough information to know in which version you have to fix the bug. 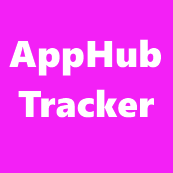 In ConsoTracker, the app I build on Windows Phone, I forgot to provide it and users ask met to provide it ! In this post you’ll discover that the classic .Net way does not work and how to retrieve it from your code. One on the nice feature coming with WP7’s mango is “live tiles” . You can create tiles directly from your application and update them from a background agent. Now, you may want to generate a screenshot of your application (using WriteableBitmap) and use it as the tile background. This is possible ! To do so, you have to store the picture in a folder named “Shared/ShellContent” otherwise you will have an NotSupportedException throwned. The URI to use will then look like this one : “isostore:/Shared/ShellContent/background.png”. You can read this MSDN page for more information. It takes me some time and Wilfried to figure this out, I hope this post will save you the search !